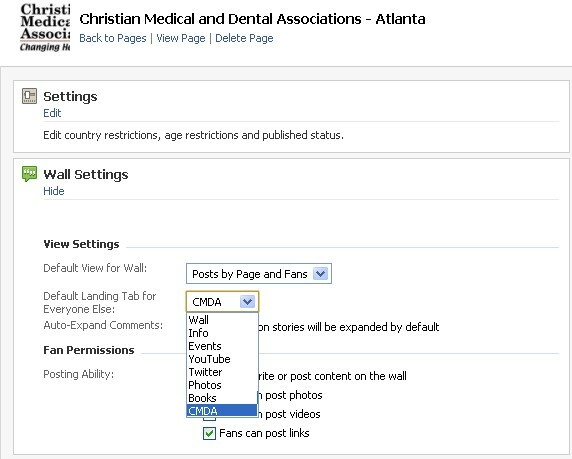 Most churches are ministries have ventured into Facebook, and have created a Facebook Fan Page. But the question is, are you leveraging the full power of your Facebook page? I want to show you how to create one feature that will allow your Facebook page to stand out from the rest. How would you like visitors to your Fan page to see a special welcome? How would you like your Fan page to stand out from the rest, and how would you like to properly brand it to the rest of your ministry? It can be done, and it is not too hard to do. I did it for the ministry that I currently direct, CMDA Atlanta. And I will give you the step by step instructions on how I created it. The key to getting started is to add the Static FBML App. The app is located here. If you’re logged into Facebook, you can add it to your Page. It is essentially a blank canvas where you can add whatever content you want, including custom graphics and links via standard HTML. The next step is to set up your tab. Once you’ve added the Static FBML app, click “Edit Page” below your ministry's profile image. This will bring up all your settings and apps. Look for the FBML app and click the “Application Settings” link. This app can function in two ways: As a set of boxes, or as one dedicated profile tab. But because we are building a welcome splash page, you’ll want to use it as a tab, so go ahead and make sure that the “Box” setting is removed, and the “Tab” setting is added. Once you’re in tab mode, go back to your settings and click the “Edit” link under the Static FBML app. This opens a standard text field where you can add your HTML content. There will be a default name of your tab, so you’ll want to change it to something appropriate, like I did calling it CMDA or perhaps call it simply “Welcome,”. It all depends on how you plan to use your new splash Page. The main text field is where your content goes, and you can add standard HTML to the page as you would any website, including images, text, links, and other formatting. All I did was upload a splash page image into Photobucket (you can use any image hosting site), and I copied the HTML code and added it. So now your tab is complete, the next step is merely to make it your default landing page that your visitors will see when they visit. Now you'll want to head back over to your page settings and edit your “Wall Settings.” There is an option for “Default Landing Tab for Everyone Else.” From that menu, select your new tab. From now on, it will be the first thing visitors see when they arrive to your Fan Page. 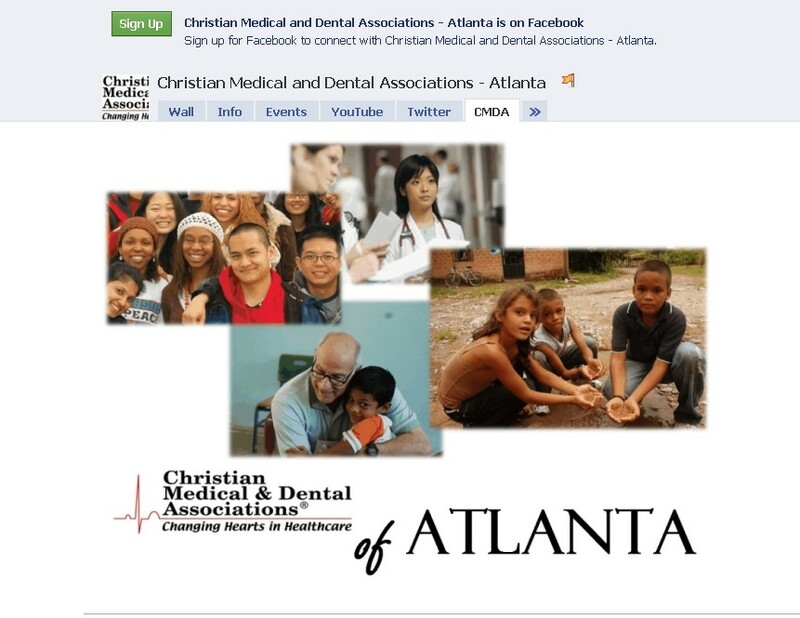 Go to my ministry's Fan Page at http://www.facebook.com/CMDAatlanta and see the final product. When you have created this for your ministry or church, you'll need to make sure you are not logged into Facebook so that your visit registers as a first time guest and therefore you'll be able to see if you've created what you've set out to do.